Sal, palms, pandanus, bamboos, ferns, orchids, oak, laurel, magnolia, alder, birch, hemlock and rhododendron- 33% of Sikkim is covered by forests. Nestled in the eastern Himalayas, Sikkim is the least populous state in the Indian subcontinent. Towering mountains, verdant valleys, meandering streams and the virgin lakes make Sikkim a visitor's long-cherished dream. The state has Nepal on its west, Bhutan on its east and Tibet on its north. The mighty Mount Kanchendzonga extends a perfect backdrop to the beautiful state, adding to the charm all the more. What is most attracting about the state is its natural splendours- 600 bird species and 4,000 species of flowering plants. The southern Sikkim experiences a subtropical climate while the northern part has the tundra climate. However, most of the inhabited regions of the state enjoy a temperate climate, with temperature rarely exceeding 28 degrees during summer. During winter, the minimum temperature records 0 degree centigrade. June to September is the time of the monsoons. The state receives a good amount of rainfall, increasing the number of landslides in the region. Snowfall is a regular affair here. Fog during winters makes transportation perilous. Gangtok, the capital of Assam, sits on a long ridge along the Ranipul river. The city offers phenomenal views of the Kanchendzonga range. The typical Buddhist monastery and the Tibetology Institute are the key tourist attractions here. Located at an altitude of 1,780 m/ 5,480 ft, Gangtok enjoys a mild and temperate climate all the year round. Playing western rock music in houses and restaurants is a common phenomenon here and the residents like it a lot. Nepali, English and Hindi are the most widely spoken languages in Gangtok. Momo is a popular snack here and what more alcohol is cheap owing to low excise duty. Located in the North Sikkim, Lachung is perched at an elevation of 3,000 m/ 9,600 ft. Lachung meaning small mountain is 125 km from capital Gangtok. The Yumthan Valley and the Lachung Monastery are worth a visit. It makes a splendid sight as the region dons the snowy attire in winters. Nepali, Lepcha and Bhutia are the main languages spoken here. Yuksom, privileged to be the first capital of Sikkim, was consecrated in the year 1642, when three lamas from north, west and south chose Phutsong Namgyal to be the first Chogyal (king) of Sikkim. Yuksum is held in high esteem by the people of Sikkim. Rabdentse was the second capital of the Sikkim kingdom after Yuksom. It remained the capital of the region from 1670 till 1814. 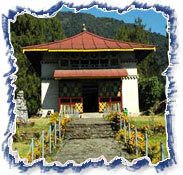 Today its ruins lie hidden from the main road that runs within walking distance from the Pemayangtse monastery. There is an abundance of adventure activities to be enjoyed once you are here. Go for mountaineering or make up your mind to go river rafting. 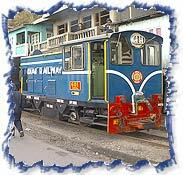 There are other options like trekking and mountain biking to extract the maximum of your holidays in Sikkim.